BACK UP Offers Can be Accepted! 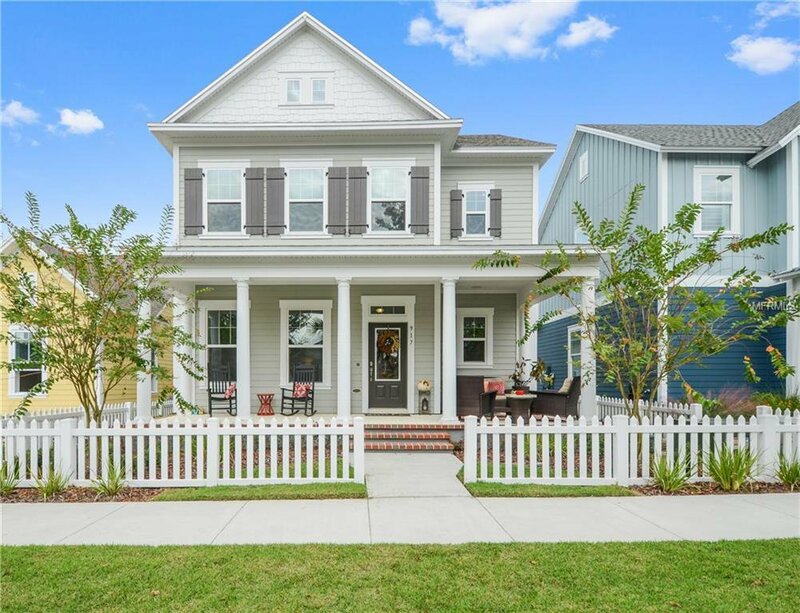 Capture the beauty of this newly built (1/2018) PARK-VIEW David Weekley home with 3 bedrooms (master downstairs), 2 baths, 1 half bath + OFFICE/DEN with French doors + LOFT, fenced yard, and covered back and front porch located just footsteps from the NEW clubhouse and resort style pool. Highly sought after OAKLAND PARK, a Parade of Homes Community Award Winner, certified green community, located off of the WEST ORANGE TRAIL & just minutes from historic downtown Winter Garden is GOLF CART approved & filled with parks, trails, sunset views over Lake Apopka & great neighbors! Kitchen overlooks the dining area and family room & consists of STAINLESS steel appliances, shaker cabinets, LED under cabinet lighting, GRANITE counters, subway tile backsplash, 5 burner gas stove, & ample cabinet space. Floors consist of 5” high end laminate for an easy clean, carpet, & tile. MASTER suite faces the backyard, includes crown molding, dual sinks & super shower with rain shower head. Remaining 2 bedrooms, bath & loft are upstairs giving you privacy and flex space to enjoy your home. Sit porch-side and enjoy your outdoor entertainment with the installed stereo sound system or bike, walk the trails, or take a ride on your golf cart! Community features parks, trails, playground, pool, and NEW clubhouse/2nd pool. Buyer to verify info. Measurements are approximate. Just minutes from interstate travel (turnpike, 429, 408), & around 30 minutes from the airport & theme park fun! Listing courtesy of BHHS FLORIDA REALTY. Selling Office: CLOCK TOWER REALTY.